Sage Sri Shankaracharya, the great Indian philosopher and social reformer who lived during the 8th century, was born in a tiny village called Kalady in the Ernakulam District of Kerala, India, located on the banks of famous River Periyar. In his short lifespan of 32 years, he became one of the greatest teachers of the Vedas. The only weapon he used for this achievement was pure knowledge and spirituality. Shankara is considered to be the incarnation of Lord Shiva. He was born to a devout Brahmin couple, Sri Sivaguru and Aryamba, as a result of their ardent prayers for a child to Lord Shiva at the famous Vadakkumnatha Temple, Trichur. Pleased with their prayers, God appeared in their dream and enquired what type of a child they wanted: whether they wanted a short-lived, good son, or a simpleton with a long life. They chose the first option. A child was born to them in the Vasanta Ritu, or the spring season, at noon in the auspicious Abhijit Muhurta and under the constellation Ardhra. They named the baby boy Shankara. 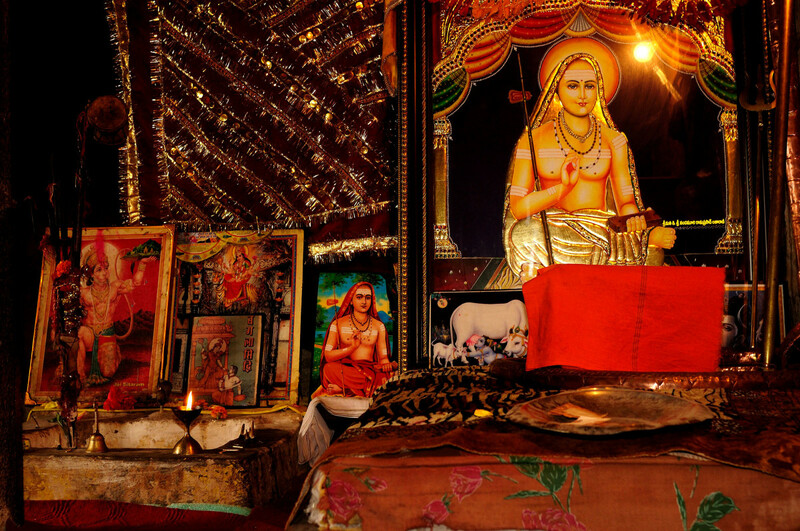 Young Shankara showed remarkable scholarship, mastering the four Vedas by the age of eight. From the beginning, he was attracted towards spirituality and sanyasam, and wanted to lead a meaningful life free of worldly pleasures. When he was three years of age, he lost his father, and his widowed mother Aryamba raised him on her own. How Did the Town of Kalady Get Its Name? The river took a new course towards the place marked by the little boy's feet. Since then, the town came to be called Kalady. Prior to this event, the village was called Sasalam. Shankara then installed Lord Krishna into the present temple, and marked the occasion by reciting his famous Ätchutha Ashtakam. Translated to English, the word Kalady means "footprint." His teachings are based on the unity of the soul and Brahman, in which Brahman is viewed as without attributes. Shankara travelled across India and other parts of South Asia to propagate his philosophy through discourse and debates with other thinkers. He was a major proponent of the Vedanta tenet that "Lord Brahma and men are of one essence and every individual should try to develop this vision of oneness." 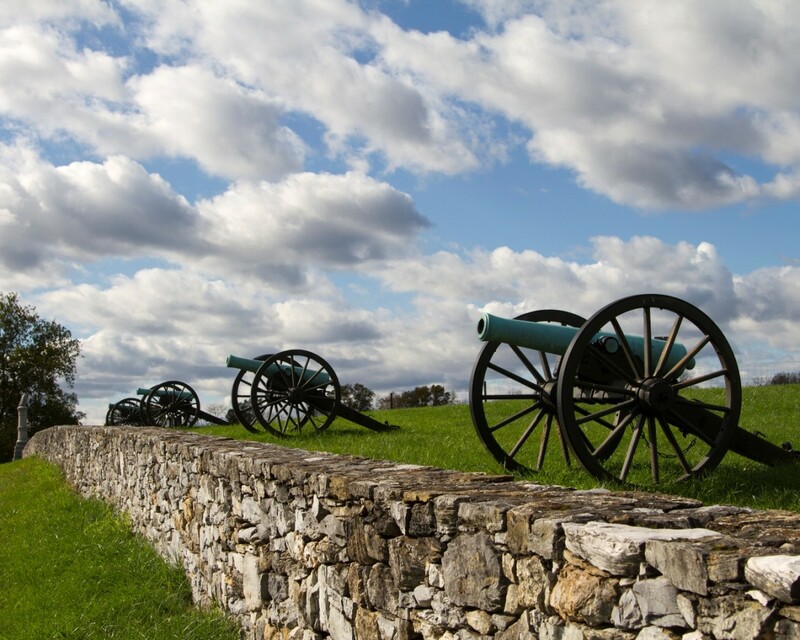 These peethas are amongst the most revered pilgrim destinations in the country. After mastering the Vedas by the age of 16, he started on his quest for truth. One day, a miracle took place. While Shankara was taking his bath in the river, his leg was caught in the jaws of a crocodile. Horrified, he called his mother, who ran to the river bank only to see her beloved son being dragged into the water. She helplessly watched the horrific scene unfold when her son said there was only one way to get the beast to release him from its jaws: she must allow him to enter the sanyasa ashram. As there was no alternative at that moment, she agreed and the crocodile let Shankara go. Before taking leaving his mother, Shankara assured her that he would be with her in her last days and would perform the funeral rites, a promise he fulfilled in spite of the problems he faced from his community. To fulfill his spiritual path, he set out in search of a preceptor. He met his guru, Swami Govindapada Acharya, in a hermitage on the banks of the River Narmada. Under Govindapada Acharya's guidance, he mastered Yoga, Vedanta and other systems, and became a knower of the Brahman. Shankara travelled all over India, and met the leaders of the different schools of thought. 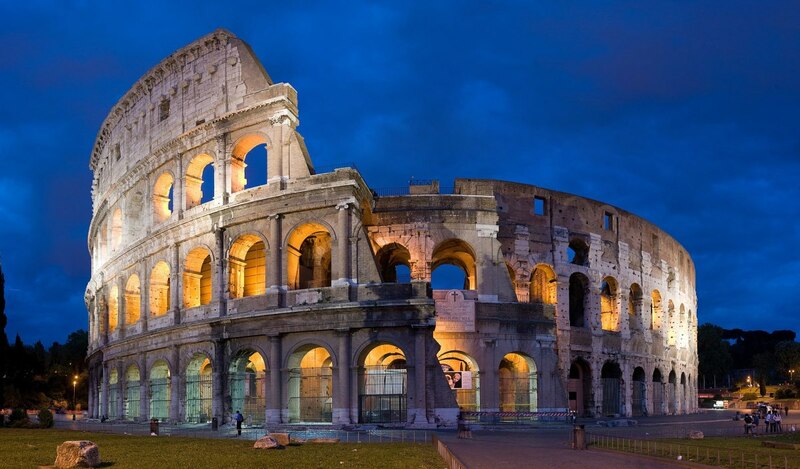 Later, at Kashi, he had a strange experience: When he was going to have his at bath in River Ganges, an outcaste came from the opposite direction with four dogs and obstructed the way. Shankara ordered him out of his path. To his surprise, the outcaste retorted, "O, venerable Guru! You are a preacher of Advaita Vedanta and yet you make a great difference between man and man. How can this be consistent with your teaching of Advaitism? Is Advaita only a theory?" This is an eight-story memorial built by Kanchi Kamakoti Mutt. The entrance to the memorial is guarded by two elephant statues. It leads to the Paduka Mandapam. Two silver knobs represent the padukas, or wooden sandals of the Teacher. The walls of the memorial feature framed reliefs that depict the story of Adi Shankaracharya. This shrine is open to all, irrespective of caste and religion. 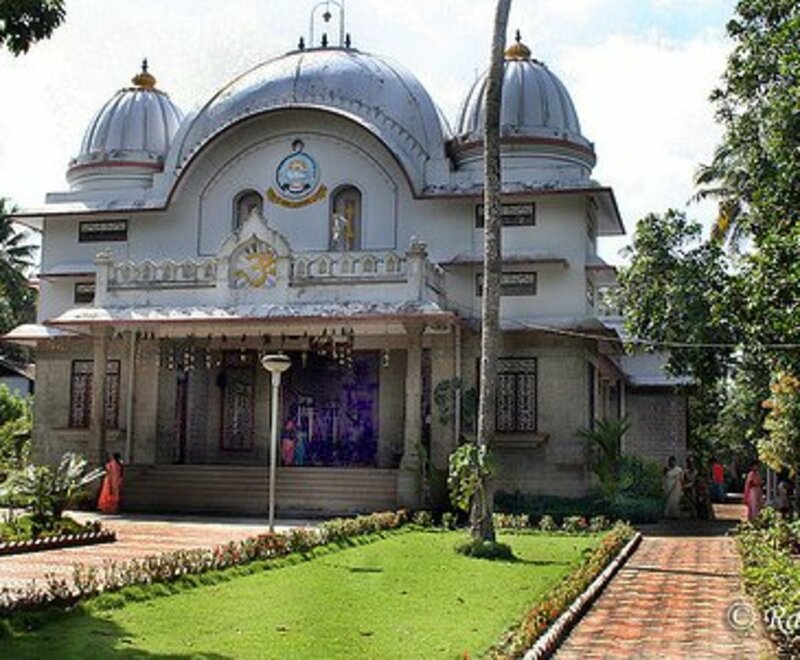 The Sree Ramakrishna Advaita Ashram is a spacious prayer hall and a shrine. Sri Krishna Temple is a small temple known as the ancestral deity of Sree Shankara Acharya. 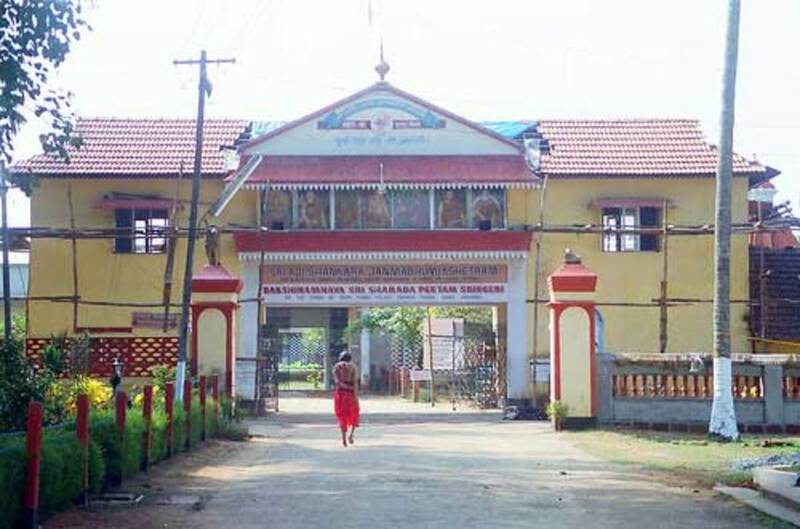 It is located to the west of the Srigeri Mutt. It is the only surviving structure from the time of Shankara, where the poojas are conducted by Namboodhiris. 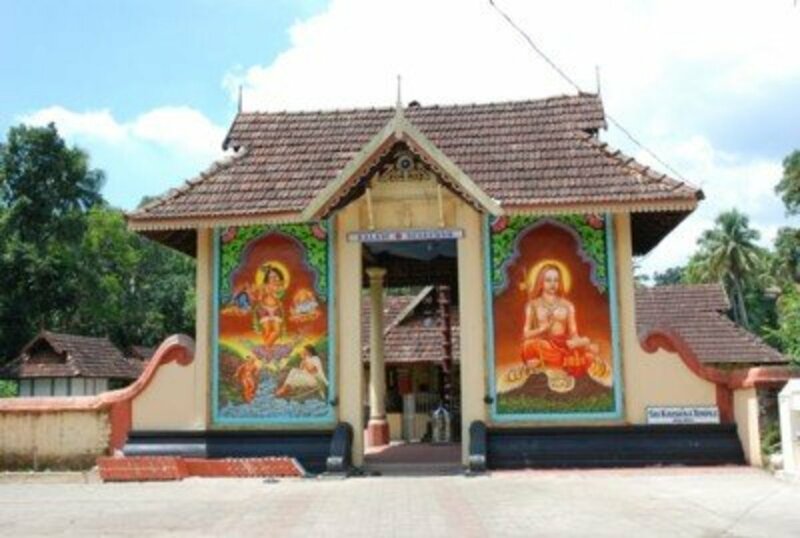 Located 3 km west of Kalady, this shrine is an example of Advaitam in worship by Shankara Acharya. This is the resting place of Sri Shankara Acharya's mother, Aryadevi. This is the quintessence of his philosophy. Adi Shankara Acharya travelled widely in India and preached his Advaita philosophy wherever he went. He taught that supreme Brahman is Nirguna (without the Gunas), Nirakara (formless), Nirvisesha (without attributes) and Akarta (non-agent). Brahman is above all needs and desires. Brahman alone is real, this world is unreal; and the Jiva is identical with Brahman. His teachings are available in the book Upadesa Sahasri: A Thousand Teachings, written by the great philosopher himself. Shankara's teachings will continue to live as long as the sun shines. Thanks to know it was helpful to you, Sreeja. .lord shankar has born as adi sankaracharya.everyone should follow his way and he protect us from different religions.every hindu should read his life history.And every hindu should become shivaji maharaj,sankara. it helped me a lot. it taught me a lot. i feel we should follow all their teahings.thank you. I also gave link to your article in references of my article on truth. Thank you soumyasrajan for your visit and the appreciating comment. It means a lot to me. I'm heading towards reading your hub, and also going to link it to this hub. Very nice article about Adi Sankaracharaya. Enjoyed reading your article. I wrote a hub titled "Truth- what it is" some days back on ancient Indian philosophies, in which I wrote a little about Adi Sankarachrya and English translations of his Manisha Panchaka shlokas. He indeed unified India quite a bit. Thanks for your visit and for the comments. A fine hub! A decent hierarchy! Thanks for sharing.All the best!